A not-so-controversial film that was temporarily censored by the Supreme Court of NSW, The Opposition is a story filled with suspense and intrigue. 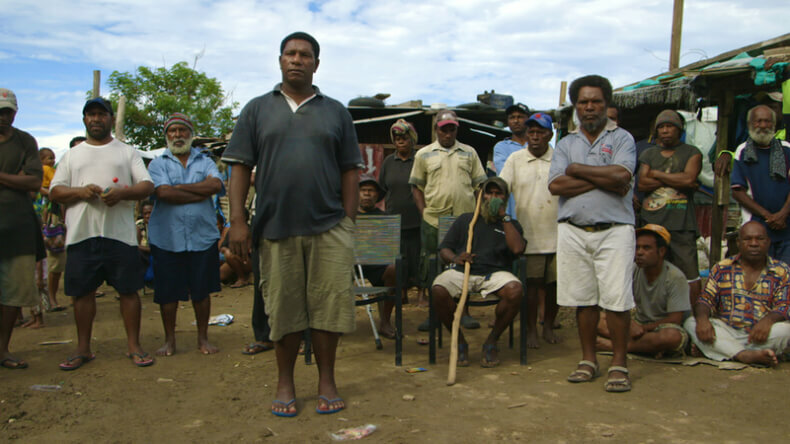 At the center of the story is Joe Moses, a respected community leader who takes on a development company that wants to construct a fancy five-star hotel and marina in Papua New Guinea. In order for the company to move ahead with its project, it must first destroy and displace the community of Paga Hill, site of the most prominent headland in Papua New Guinea’s capital. Although aided by a coalition of allies, one key player turns her back on Joe and the Paga Hill Community, accepting a paid position with the company. Joe, left without any political support, fights on. However, his continued efforts are met with dire consequences. Joe was ultimately forced into hiding and the Paga Hill Community was destroyed. However, the community is now seeking damages in the PNG Courts for human rights violations and the loss of their homes. After losing many key documents in the demolition, the community is using The Opposition as their primary evidence base.